[PC] Magic Ball 2 | Kippykip Forums! If I remember correctly, it was in another language (probably Spanish) but we got the english.txt file from the demo and then it was in English! This one works on Linux WINE unlike the top one, and this one doesn't have a shady patch job like the Spanish/English swapped version above. Although it's missing the cool 3D intro for whatever reason. I personally recommend using this version instead. So this tool (written in Blitzmax which also includes the sources), allows you to input any resolution that your computer can use in 3D mode. It can also enable the unused "Windowed mode" in params.txt if you specify it. Now just so you know, the game will crash if your computer can't use the custom resolution in fullscreen! - Also meaning you can't make a windowed resolution of say "700x400" if your display doesn't have the option for fullscreen! You can workaround this by adding a custom resolution in the Nvidia/AMD panel. Now using the tool is very easy, you just copy the "ResolutionChanger.exe" and "hashes.txt" to the same folder where your MagicBall2 EXE is located and run it (you may need to run as administrator), and you should be good! Now how the program works, it physically patches the games hardcoded resolutions to whatever you set in the command line. Since there are unique versions of Magic Ball 2, the tool compares version MD5's and resolution offsets from the "hashes.txt" file, so be sure to include it in the same folder as the tool. 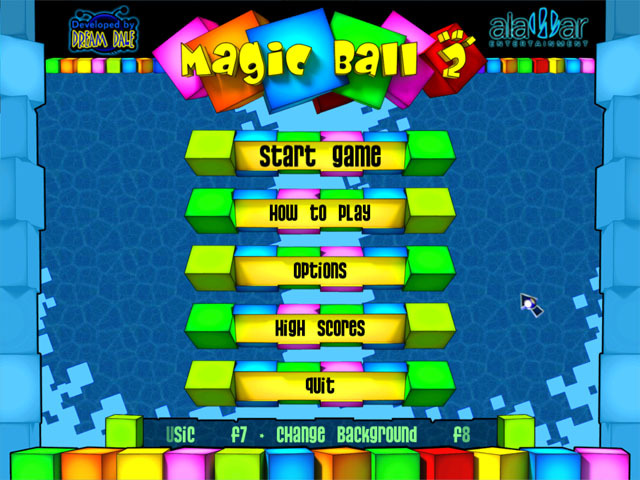 Early versions of Magic Ball 2 (2004 binaries and under) have the GUI elements hardcoded to the Resolution index, so using the tool on very early versions of Magic Ball may make the main menu completely invisible and have no hud in-game. Most versions of Magic Ball 2 are from 2005+ so you should be fine. All of the downloads of Magic Ball 2 in this very thread are fully compatible without glitches. New Worlds expansion also works. If you don't put any command line in at all, the tool will just use your current desktops resolution in fullscreen mode. BIG NOTE: If your game is in Program Files and you're on Windows Vista+, you will need to run the tool as Administrator otherwise the game won't have anything modified. If the tool isn't compatible with your version of Magic Ball 2 at all, send me an email or a DM with your copy of the game attached so I can add the offsets and MD5 to the "hashes.txt" file.